Come to the RPL for a Halloween story, craft, and candy hunt! There will NO Preschool Storytime this Monday, October 29. Instead, we are having a special HALLOWEEN STORYTIME on Wednesday, October 31! Join Storytime Lady Sianna on Halloween at 4pm for a story, craft project, and candy hunt. Costumes are highly encouraged! Our preschool storytime program is designed for kids age 0-7, but all are welcome! THE RPL HAS PROGRAMS FOR ALL AGES! Residents are welcome to attend. Must have great written communication skills. The ideal candidate would be available to fill in to take minutes for other board meetings as needed. The Budget Committee meets quarterly and also almost weekly in the fall on Wednesday nights at the town office at 6:30pm. 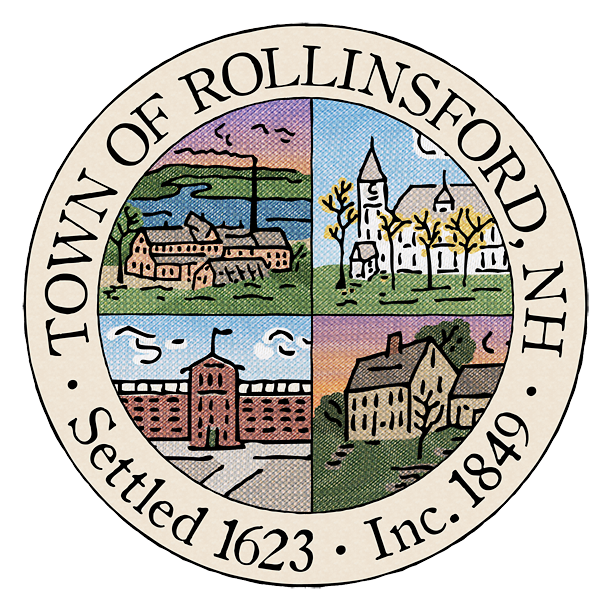 The Town of Rollinsford is seeking a qualified individual to complete bookkeeping and administrative tasks on a temporary to permanent basis. This is a part-time position, 20 hours per week, located in Rollinsford, NH. Please send resume and cover letter to: Rollinsford Select Board, PO Box 309, Rollinsford NH 03869 or email selectboard@rollinsford.nh.us. Rollinsford resident Stephen H. Roberts has been chosen by the Association of Rollinsford Culture and History (ARCH) as the 2018 recipient of the ARCH Heritage Award, which is presented annually to a person who has made significant contributions to the preservation of the history, heritage and culture of Rollinsford and the lower Salmon Falls region. The award will be presented at the organization’s annual dinner and auction gala on Saturday, November 17 at Spring Hill in South Berwick, ME. Roberts is a partner in the law firm of Hoefle Phoenix Gormley and Roberts in Portsmouth, and is a retired district court judge. In addition to his efforts on behalf of ARCH and the Wentworth House, Roberts also currently serves as president of the Board of Trustees of the Portsmouth Athenaeum,which maintains a library of over 40,000 volumes and an archive of manuscripts, photographs, objects, and ephemera relating to local history. Budget workshop on Monday, October 29, 2018 at 6:00pm. The Select Board meeting will start at 6:30pm. Budget Workshop on Saturday, November 3, 2018 at 9:00am. The above meetings will be at the town hall. Wednesday, October 24, 2018 at 6:30pm at the Town Office. Tuesday, October 23, 2018 at 6:00pm at the District office on Front Street. On Saturday, October 27, the Rollinsford Police Department will be participating in the DEA Take Back Drug Campaign. The PD will be open from 10 am to 2 pm so residents can drop off unwanted, outdated, medications, pills, etc., no questions asked. If you are unable to make it to the pd that day, you can make arrangements for pickup or drop off at the pd that is convenient to you by calling our dispatch center at 742-2724 or by emailing Chief Bob Ducharme. Lets keep these items out of the hands of people who should not have them. The Supervisors of the Checklist will be holding the last session before the Nov 6th General Election. This is an opportunity to register to vote or to change party affiliation prior to the election. This meeting will take place at 7:00pm in the meeting room of town hall.